This article is about the number. For the year, see 10. For other uses of "ten", see Ten (disambiguation). For other uses of the ordinal 10th, see Tenth (disambiguation). 10 (ten i/ˈtɛn/) is an even natural number following 9 and preceding 11. Ten is the base of the decimal numeral system, by far the most common system of denoting numbers in both spoken and written language. The reason for the choice of ten is assumed to be that humans have ten fingers (digits). A collection of ten items (most often ten years) is called a decade. The ordinal adjective is decimal; the distributive adjective is denary. Increasing a quantity by one order of magnitude is most widely understood to mean multiplying the quantity by ten. Ten is a composite number, its proper divisors being 1, 2 and 5. Ten is the smallest noncototient, a number that cannot be expressed as the difference between any integer and the total number of coprimes below it. Ten is the second discrete semiprime (2 × 5) and the second member of the (2 × q) discrete semiprime family. Ten has an aliquot sum σ(n) of 8 and is accordingly the first discrete semiprime to be in deficit. All subsequent discrete semiprimes are in deficit. The aliquot sequence for 10 comprises five members (10,8,7,1,0) with this number being the second composite member of the 7-aliquot tree. Ten is the smallest semiprime that is the sum of all the distinct prime numbers from its lower factor through its higher factor (10 = 2 + 3 + 5 = 2 . 5) Only three other small semiprimes (39, 155, and 371) share this attribute. 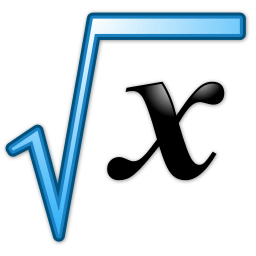 It is the aliquot sum of only one number the discrete semiprime 14. Ten is a semi-meandric number. Ten is the sum of the first three prime numbers, of the four first numbers (1 + 2 + 3 + 4), of the square of the two first odd numbers and also of the first four factorials (0! + 1! + 2! + 3!). Ten is the eighth Perrin number, preceded in the sequence by 5, 5, 7. A polygon with ten sides is a decagon, and 10 is a decagonal number. Because 10 is the product of a power of 2 (namely 21) with nothing but distinct Fermat primes (specifically 5), a regular decagon is a constructible polygon. Ten is also a triangular number, a centered triangular number, and a tetrahedral number. Ten is the number of n queens problem solutions for n = 5. Ten is the smallest number whose status as a possible friendly number is unknown. The Roman numeral for ten is X (which looks like two V's [the Roman numeral for 5] put together); it is thought that the V for five is derived from an open hand (five digits displayed), and X for ten from both hands. Incidentally, the Chinese word numeral for ten, is also a cross: 十. Ten is a Harshad number in bases 2, 3, 5, 6, 9 and all others above. In bases 15, 18 and 30, ten is a 1-automorphic number (displayed as the numeral 'A').. The SI prefix for 10 is "deca-". The number of hydrogen atoms in butane, a hydrocarbon. The New General Catalogue object NGC 10, a magnitude 12.5 spiral galaxy in the constellation Sculptor. The Saros number of the solar eclipse series which began on February 28, 2467 BC and ended on April 18, 1169 BC. The duration of Saros series 10 was 1298.1 years, and it contained 73 solar eclipses. The Saros number of the lunar eclipse series which began on June 17, 2454 BC and ended on August 15, 1138 BC. The duration of Saros series 10 was 1316.2 years, and it contained 74 lunar eclipses. Messier object M10, a magnitude 6.4 globular cluster in the constellation Ophiuchus. The Ten Commandments of Exodus and Deuteronomy are considered a cornerstone of Judaism and Christianity. People traditionally tithed one-tenth of their produce. The practice of tithing is still common in Christian churches today, though it is disputed in some circles as to whether or not it is required of Christians. In Deuteronomy 26:12, the Torah commands Jews to give one-tenth of their produce to the poor (Maaser Ani). From this verse and from an earlier verse (Deut. 14:22) there derives a practice for Jews to give one-tenth of all earnings to the poor. Jews observe the annual Ten Days of Repentance beginning on Rosh Hashanah and ending on Yom Kippur. In Jewish liturgy, Ten Martyrs are singled out as a group. In Judaism, ten men are the required quorum, called a minyan, for prayer services. Interpretations of Genesis in Talmudic and Midrashic teachings suggest that on the first day, God drew forth ten primal elements from the abyss in order to construct all of Creation: Heaven (or Fire), Earth, Chaos, Void, Light, Darkness, Wind (or Spirit), Water, Day, and Night. See also Bereshit (parsha). Jesus tells the Parable of the Ten Virgins in Matthew 25:1-13. In Pythagoreanism, the number 10 played an important role and was symbolized by the tetractys. In Hinduism, Lord Vishnu appeared on the earth in 10 incarnations. Most countries issue coins and bills with a denomination of 10 (See e.g. 10 dollar note). Of these, the U.S. dime, with the value of ten cents, or one tenth of a dollar, derives its name from the meaning "one-tenth" − see Dime (United States coin)#Denomination history and etymology. The interval of a major tenth is an octave plus a major third. The interval of a minor tenth is an octave plus a minor third. The title of quite a few albums. See Ten (album). "Ten lords a-leaping" is the gift on the tenth day of Christmas in the carol "The Twelve Days of Christmas"
decathlon, a combined event in athletics consisting of ten track and field events. In American football, the end zones are 10 yards deep. In association football, the number 10 is traditionally worn by the team's advanced playmaker. This use has led to "Number 10" becoming a synonym for the player in that particular role, even if he or she does not wear that number. In Australian rules football, considered the break even amount of games won in a regular 22 game season. In baseball, 10 is the minimum number of players on the field at any given time during play (including the batter). The top of the rim (goal) is 10 feet from the floor. In standard full-court basketball, there are 10 players on the court (5 on each team). In blackjack, the Ten, Jack, Queen and King are all worth 10 points. In boxing, if the referees counts to 10 whether the boxer is unconscious or not, it will declare a winner by knockout. In cricket, 10 is the number of wickets required to be taken by the bowling side for the batting side to be bowled out. In gridiron football, 10 is the number of yards the offense must advance to maintain possession in a single set of downs—four in American and three in Canadian. In rugby union, the starting fly-half wears the 10 shirt. In ten-pin bowling, 10 pins are arranged in a triangular pattern and there are 10 frames per game. The highest score possible in Olympics gymnastics competitions. Danica Patrick's car number in the NASCAR Sprint Cup Series. The jersey number 10 has been retired by several North American sports teams in honor of past playing greats or other key figures, including Major League Baseball, the NBA, the NFL, the NHL, and in cricket by indian cricket team for legendary indian cricketer sachin tendulkar. Ten-codes are commonly used on emergency service radio systems. Ten refers to the "meter band" on the radio spectrum between 28 and 29.7 MHz, used by amateur radio. In MIDI, Channel 10 is reserved for unpitched percussion instruments. In the Rich Text Format specification, all language codes for regional variants of the Spanish language are congruent to 10 mod 256. In OS X, the F10 function key tiles all the windows of the current application and grays the windows of other applications. The IP addresses in the range 10.0.0.0/8 (meaning the interval between 10.0.0.0 and 10.255.255.255) is reserved for use by Private networks by RFC 1918. Blake Edwards' 1979 movie 10. Series on HBO entitled 1st & Ten which aired between December 1984 and January 1991. Series on ESPN and ESPN2 entitled 1st and 10 which launched on ESPN in October 2003 to 2008 and moved to ESPN2 from 2008 to present. In astrology, Capricorn is the 10th astrological sign of the Zodiac. In Chinese astrology, the 10 Heavenly Stems, refer to a cyclic number system that is used also for time reckoning. A 1977 short documentary film Powers of Ten depicts the relative scale of the Universe in factors of ten (orders of magnitude). CBS has a game show called Power of 10, where the player's prize goes up and down by either the previous or next power of ten. "Ten Chances" is one the pricing games on The Price is Right. There are ten official inkblots in the Rorschach inkblot test. The traditional Snellen chart uses 10 different letters. Ten is an Australian television network. The Sydney member of the network has the three-letter call-sign TEN and used to broadcast in analogue on VHF Channel 10. Number Ten (also called Ella) is a character in the book series Lorien Legacies. The sixth book, The Fate of Ten, is named after her. The ten-code may be used in law-enforcement brevity communications. The house number of 10 Downing Street. The number of Provinces in Canada. The designation of United States Interstate 10, a freeway that runs from California to Florida. Number of dots in a tetractys. The number of the French department Aube. The number of regions in Ghana. The state number of Virginia. ↑ "Sloane's A005278 : Noncototients". The On-Line Encyclopedia of Integer Sequences. OEIS Foundation. Retrieved 2016-06-01. ↑ "Sloane's A001107 : 10-gonal (or decagonal) numbers". The On-Line Encyclopedia of Integer Sequences. OEIS Foundation. Retrieved 2016-06-01. 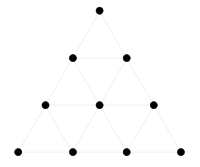 ↑ "Sloane's A005448 : Centered triangular numbers". The On-Line Encyclopedia of Integer Sequences. OEIS Foundation. Retrieved 2016-06-01. ↑ "Sloane's A000292 : Tetrahedral numbers". The On-Line Encyclopedia of Integer Sequences. OEIS Foundation. Retrieved 2016-06-01. ↑ Archived February 23, 2006, at the Wayback Machine. ↑ Khalil Garriot (21 June 2014). "Mystery solved: Why do the best soccer players wear No. 10?". Yahoo. Retrieved 19 May 2015. Wikimedia Commons has media related to 10 (number). Look up ten in Wiktionary, the free dictionary.